The chancellor will put an emphasis on cutting transport emissions in his upcoming Budget, Transport Network understands. It has been suggested that Philip Hammond will take action to tackle air pollution from diesel cars, by introducing a scrappage scheme or increasing fuel duty on diesel. Last month, transport secretary Chris Grayling said people should 'take a long, hard think' before buying a diesel vehicle. The Treasury said the chancellor is expected to set a research and development challenge for British business and universities by making £270m available to help the UK become world leaders in the development of batteries for the next generation of electric cars, helping to tackle air quality. Accelerating patient access to new drugs through the development of speedy, new ways of manufacturing medicine. He is also expected to offer a positive backdrop to his first budget on Wednesday. He will argue that a strong economy is built on resilience, so the Government will continue reducing the deficit, not shirking the difficult decisions on tax and spending, while still investing in Britain’s future. 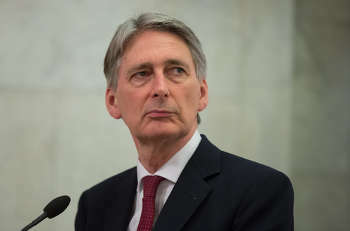 The Treasury said earlier this week that the Budget would see a shake-up of technical education ‘amid major investment in skills’ and that Mr Hammond would use it ‘to back the scientists, tech developers and innovators of the future so Britain remains at the forefront of the global technological revolution’. The long read: Is a national transport plan finally within reach?